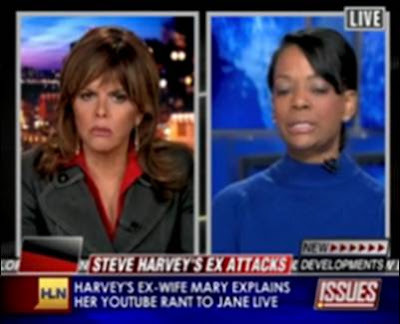 Steve Harvey’s ex-wife Mary explaining why they got a divorce and why she is currently breaking her silence. There is also [AUDIO] in the video segment below with Steve Harvey giving his side of the story from his radio show. Steve Harvey also talked about this on his radio show. [Click here for the 5:00 AUDIO] with his cast members. 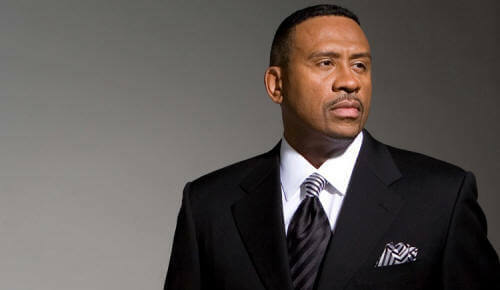 One thing we didn't hear in Steve's explanation is why their son Wynton can't see his momma and why his son was crying? Did his son surf the Internet and watch the videos on YouTube himself instead of playing X-Box or Wii? Was somebody's momma running their mouth and the kids at school told him about the YouTube videos? If not then why was he crying? One of the political thinkers and social commentators out there in the blogosphere that we respect is Dr. Boyce Watkins. Check out his article called " Steve Harvey's Chickens Have Come Home to Roost on YouTube." He starts out by saying- "...So, let me start with a statement that may or may not please the powers-that-be in black entertainment: Steve Harvey is a comedian, and not necessarily someone who should be positioned as a relationship guru for the African American community." Steve Harvey is allegedly suing Mary for not getting a relationship show on Oprah Winfrey's network. Trust it, Oprah will never ever get burned again like she did on that author writing a fictional book about drug addition that he tried to pass off as real. (James Fey- A Million Little Pieces) She learned her lesson. We feel there is about to be another lesson learned too about a woman being scorned.